The program during 2010 concentrated on giving access to drinking water to the populations in the municipalities of Antambolo, Alakamisy, Ambatomirahavavy, and Morarano (see figure 1 for the situation in September 2009). Each municipality is composed of several administrative units called Fokontany; which can either be villages, parts of towns and villages, or hamlets ( small settlements of 20 -50 houses). 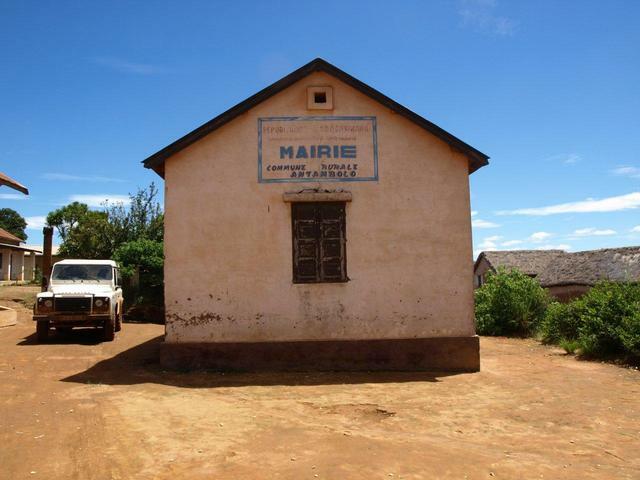 In our initial project proposal for PWX we estimated that the project would provide 3,500 people water in the municipality of Antambolo and 4,340 people in Alakimisy during 2010. For reasons explained the final report, the project has finally provided a total of 4.050 people with drinking water during 2010 and systems for 10.722 people are under construction during 2011/2012. 1. 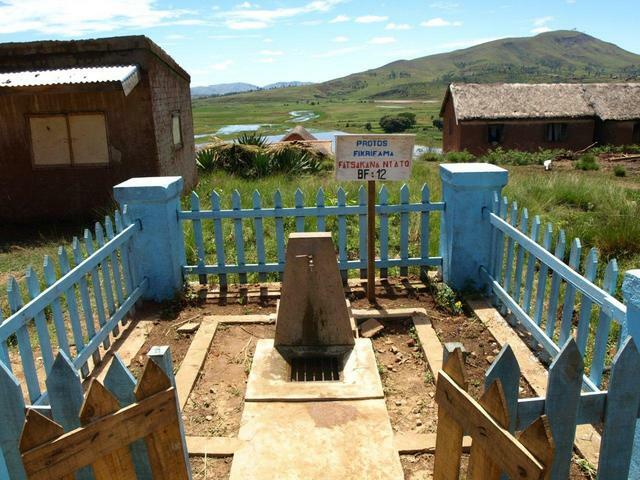 The project has provided 2,746 people (including 621 schoolchildren) with water in the municipality of Antambolo, and another system for 1,047 people is in the study phase and will be built end 2011. 2. 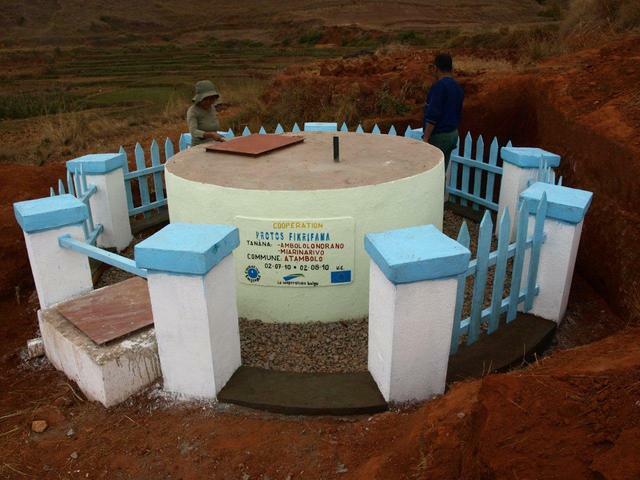 The project has provided 572 people with water in the municipality of Ambatomirahavavy. 3. The project has provided 732 people with water in the municipality of Morarano. 4. The project has spend a lot of time on the feasibility study and design phase for the system in the municipality of Alakamisy, the actual building work has recently started to provide 9,675 people with water (the system is designed for a projected expansion of population up to 15.000). 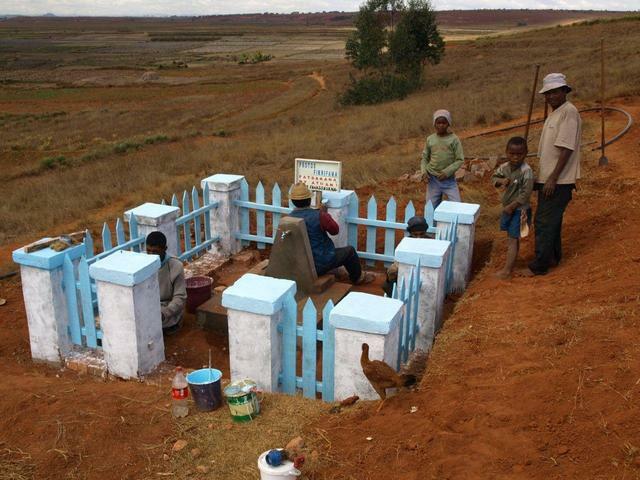 This system will be built in 2011 and 2012, in cooperation with JIRAMA, the Madagascar public drinking water service. 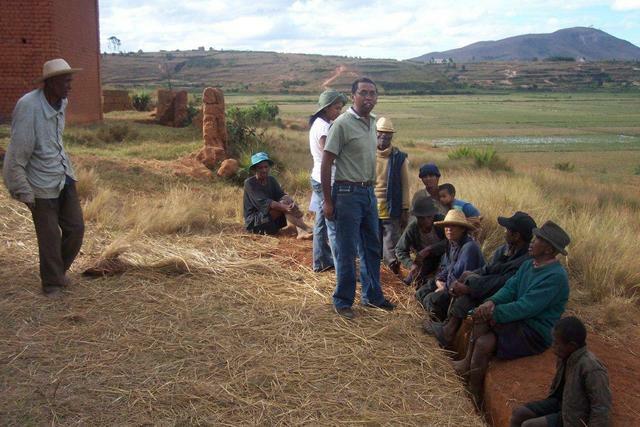 In this final report, we describe the activities that took place with regard to the provision of drinking water in the Andromba plain, south-west of Antanarivo, Madagascar during 2010. The interventions of PROTOS in this region, which encompasses 6 municipalities, is part of a larger program called GIRELPA (letter word from Gestion Integrée des Ressources en Eau Locale dans la Plaine d'Andromba), co-financed by the European union and the Belgian development cooperation. Blue Planet Network – PWX supported this program during 2010 for 35.000 USD, about 10% of the total 2010 budget. (The program has proposed its second phase to the Belgian cooperation which will run from 2011-2013). The global program aims at satisfying basic water and sanitation needs of the rural population living on the Andromba plain within an integrated water management perspective whilst building capacity of local actors to ensure sustainable management of the water resources. The overall ambition of the GIRELPA program is to attain a 90-100% access to drinking water by the end of 2013. The program during 2010 concentrated on giving access to drinking water to the populations in the municipalities of Antambolo, Alakimisy, Ambatomirahavavy, and Morarano (see figure 1 for the situation in September 2009). Each municipality is composed of several administrative units called Fokontany; which can either be villages, parts of towns and villages, or hamlets ( small settlements of 20 -50 houses). In our initial project proposal for PWX we estimated that the project would provide 3,500 people water in the municipality of Antambolo and 4,340 people in Alakimisy during 2010. For reasons explained below, the project has finally provided a total of 4.050 people with drinking water during 2010 and systems for 10.722 people are under construction during 2011/2012. THE GENERAL APPROACH OF PROTOS AND ITS PARTNER FIKRIFAMA IN EXECUTING THIS PROGRAM. -	Diagnostic visits with local inhabitants. This means that local natural springs are searched with the local population, tested on water quality and flow measurements are made. -	Feasibility study, pre-study and making choice of the best and adapted technical solution. -	Detailed engineering study and making of construction manual by the selected local engineering company. -	Election and installation of a local water committee, which is trained, which follows the construction phase, and will assume the responsibility of managing the system after final acceptance of the construction. -	Nomination of local technicians. -	Signing an agreement between the Municipality council, the water committee and the GIRELPA project team. Start up of the project follow-up group with representatives of the 3 parties. -	Opening of bank account and collection of financial contributions. -	Training of the water committee and local technician. -	Call for proposals for procurement of materials under supervision of the project follow-up group. -	Reception and safe storage of materials. -	Organizing the construction site and split up of specialized work and community work. -	Organizing the community work of digging trenches and delivering sand. -	The specialized construction work is carried out by FIKRIFAMA staff. 3. 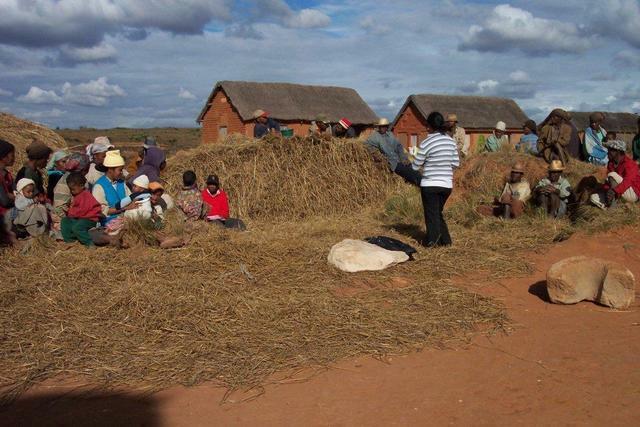 Construct a system for the 8 hamlets of Ambohiboanjo (1047 inhabitants). As mentioned in the intermediate report of June 2010, a conflict arose when an influential family, after construction work was finished. They did not respect earlier made agreements with the Mayor and the water user committee and sabotaged part of the distribution network. This family used to have one of the 3 water taps of the old system in their yard, but this tap had been disconnected to assure enough flow to the public water taps. This had been agreed upon at the beginning (the Mayor also had a tap in his yard which was also disconnected). But upon completion, the family reconnected their tap illegally again to the distribution piping. Negotiations are still underway with relevant authorities (water board, Mayor, municipality, management committee, and the family in question) to resolve the situation. A new system was constructed which serves the communities of Miarinarivo and Ambololondrano for 265 inhabitants. The feasibility study has been done but construction delayed until the situation in Antambolo is resolved. Will be constructed during 2011. The municipality of Alakamisy is the most densely populated area in the project intervention zone (16,854 inhabitants), and includes the Fokontany of Ankadivory which holds a big market and is one of the most developed in the region (see pictures). Yet it holds the lowest percentage of people having access to drinking water (13% in 2009). 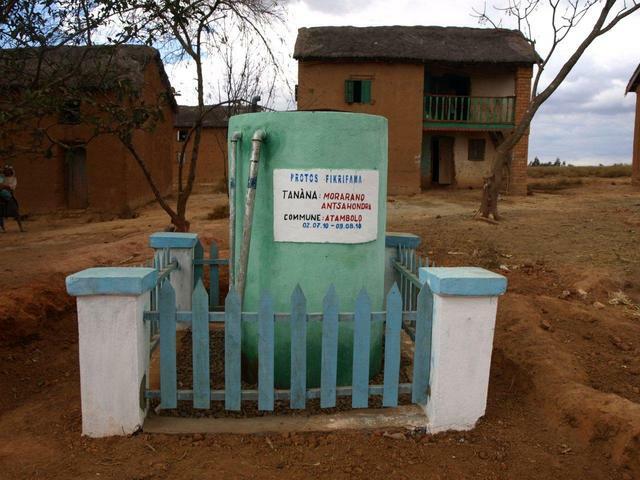 One reason for this is that the Madagaskar public drinking water and electricity company, JIRAMA, was supposed to provide drinking water to this municipality, because they have a large reservoir and production center close by. But the JIRAMA never managed to find the investment budget necessary to connect the main villages of Alakamisy and had many doubts on the return on investment. The project team approached JIRAMA in 2007 to discuss a potential cooperation and to estimate the costs of connected the villages to their production source based on groundwater pumps. The original quotations given by JIRAMA were enormous and beyond the scope of our project budget. After that, the possibility of gravitational flow schemes was explored by the project team but appeared not feasible except for a small part of the population; the available springs had too small flow to satisfy present and future demands. At the time of the formulation of the Blue Planet Run /Peer Water Exchange project proposal early 2009, this was not known yet and gravitational flow schemes were budgeted. Next step was to explore an alternative system to install additional pumps for groundwater, but tests showed that flow rates were also insufficient to serve the entire population. 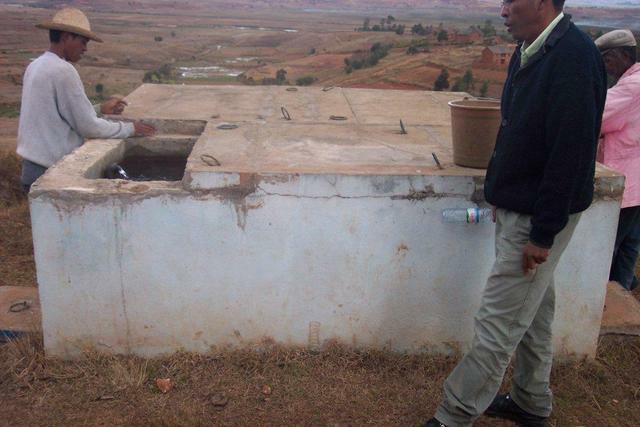 In the meantime from 2009 onwards, a close collaboration between JIRAMA, PROTOS, and a Belgian public drink water company was initiated for a project in Toamasina, the second largest town of Madagascar. 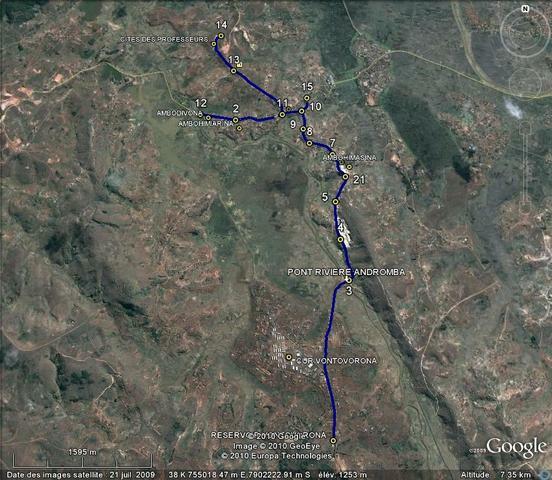 During 2010 a new management was put in place at the JIRAMA Antanarivo and new policies were internally implemented: i.e. pro-poor connections, more market-conform pricing policies for new connections. This opened to way to renewed negotiations between PROTOS, the municipality of Alakamisy, and the JIRAMA to extend the JIRAMA network. Studies were carried out in each of the Fokontany to determine which families wanted to become client of the JIRAMA grid and get a household connection, and those who couldn't afford this (or lived too isolated) and would benefit from a public tap. The detailed technical studies were made, and towards the end of 2010, an agreement was signed by the JIRAMA, the Ministry of Water, Alakamisy and PROTOS, to connect a large number of villages and households. Unfortunately this whole preparation, negotiation and planning process has taken quite a long time and the building process is planned in phases; this will also take some time. In January 2011 the materials have been acquired and a local contractor has started the groundwork. It will take the whole of 2011 and part of 2012 to install the complete grid. A new system was constructed which serves the two communities of Antsahabe for 572 inhabitants. A new system was constructed which serves the 2 communities of Amabihikely for 346 inhabitants. A new system was constructed which serves the 4 communities of Mahalavolona for 386 inhabitants. See uploaded photos for examples. The water users committees are trained to run the systems. The 6 muncipalities, assembled in OPCI, hired a technician to do maintenance and repair work. He is financed by the contribution of the water users and by the munipalities. Feasibility studies and negotations with JIRAMA, the public water company, took a lot of time, but finally, a good solution was found for Alakamisy at an acceptable budget. This large system will be constructed during 2011. A lot of materials were already purchased during 2010. Long negotation time to find good collaboration with JIRAMA, the public owned drinking water agency of Madagascar, mainly for urban zones. Conflict situation with one "rich" family arose in Antambolo.